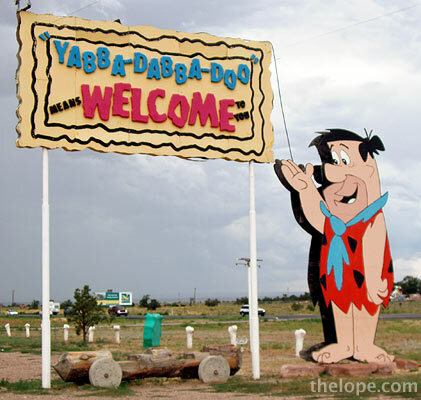 Today is the 50th anniversary of The Flintstones, which first aired September 30, 1960. I never cared much for the loud Honeymooner-based characters and thought the cheap repeating backgrounds were a Yabba Dabba don't. 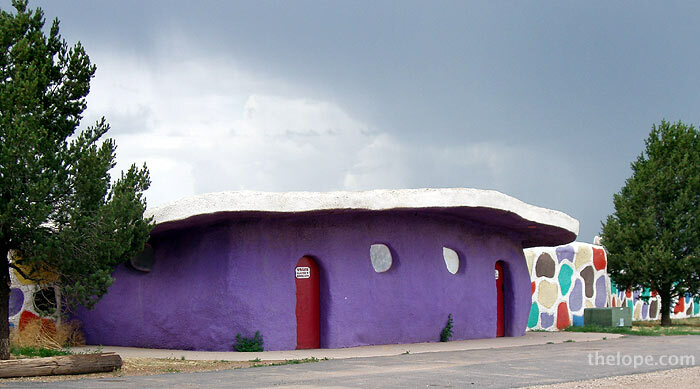 But I loved the architecture as a kid almost as much as I love that of the Jetsons now. 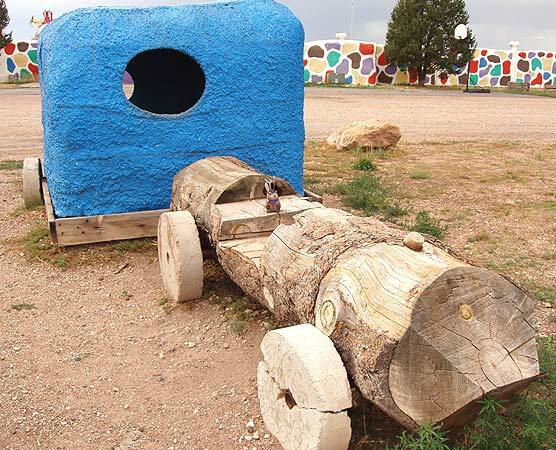 And so I was happy to run across Flintstones Bedrock City back in 2005, along Arizona hwy 64, which connects I-40 and Rt 66 to the Grand Canyon. See this place in context in Mountain Lying Down. Ace tries to tow a stone age RV all the way back to 1960.